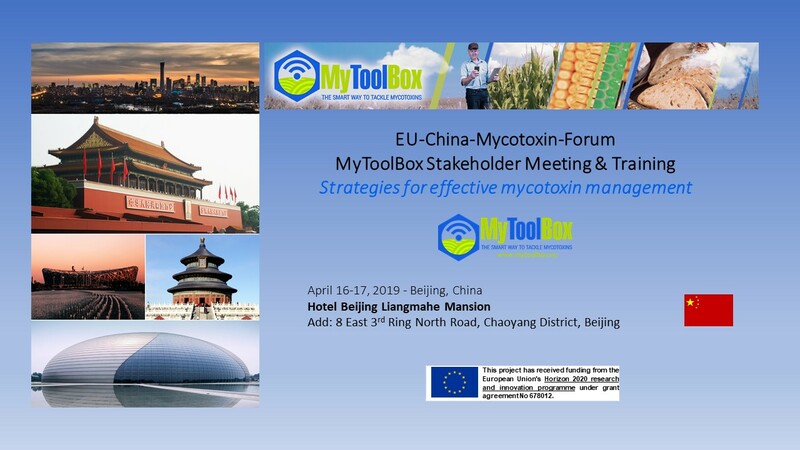 The MyToolBox Consortium is proud to announce the Stakeholder Training and Workshop, which will take place in April 16-17 in Beijing (China). Thanks to the special contribution of the local MytoolBox partner ASAG, in cooperation with Romer Labs China Ltd, a programme outline has been drafted. As part of the MyToolBox long-term collaboration strategy with China, the training will contribute to a dialogue platform between China an the EU to provide building-blocks for further dialogue across a wider range of food safety topics. During these two days, Chinese and EU speakers will present and discuss, to ensure knowledge exchange and share experiences. Therefore, simultaneous translation will be guaranteed. Please find here the programme (click here for the Chinese version) and a promo video (in Chinese) of this exciting event in Beijing!